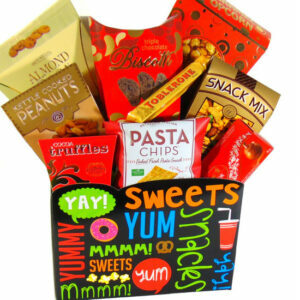 Golf Gourmet Basket Father's Day Gift Basket Toronto Delivery Free. 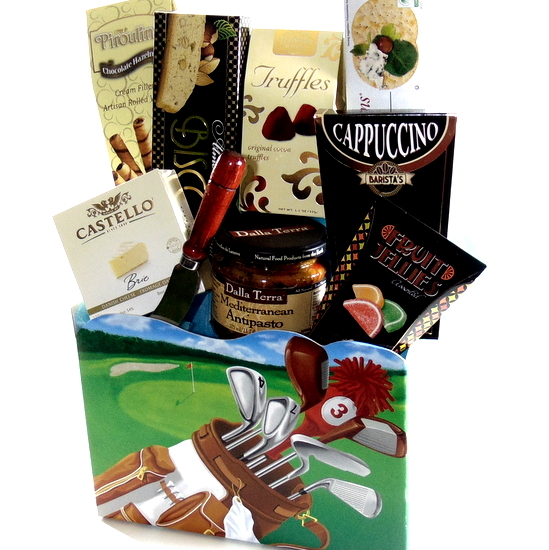 Golf gourmet basket, golf clubs image on a green and blue gift box. The best gift to send to your family or friends who loves Golf, a great gift basket to send on any occasion Father’s day, Birthday, Thank you, New Home,Fathers day. 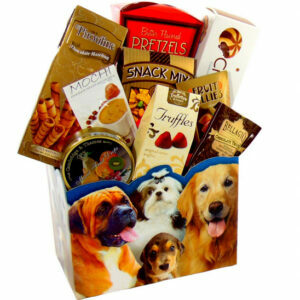 Golf gourmet basket contains: Carrs crackers. Chocolate Pirouline cookies. Hazelnut and almond biscotti. Cappuccino drink mix. French Truffle chocolates. Brie cheese. Wooden cheese knife. Mediterranean antipasto. Fruit slice candies.